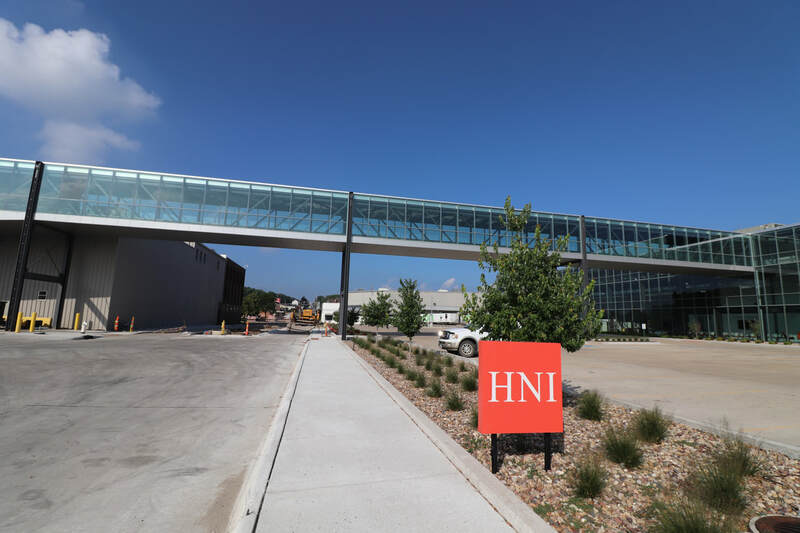 The HON Corporation completed a 50,000 SF remodel to create new corporate offices in Muscatine, IA. The renovated space allowed them to bring many of their essential departments under one roof. Architectural Wall Systems was brought on board by Calacci Construction in 2015. The project involved partial demolition of the main building as well as complete demolition of a conveyor skywalk and adjacent warehouse building to make way for the new showcase building. The west and south elevations of the building received 80 new punched windows in the original brick openings. Other openings were cut or expanded to create new entrances and open up workspaces on the upper floors to views of the Mississippi River and downtown Muscatine. A new skywalk was built to house a conveyor system to move product over Highway 92 (E 2nd St). The 335-foot-long skywalk was enclosed by unitized curtain wall and connected the new administrative building to the shipping building. Because the conveyor was critical to the customer’s business, it was actually installed immediately after the structure was built. This provided an extra challenge for the AWS team as they set curtain wall with the conveyor moving boxes across the street next to them. 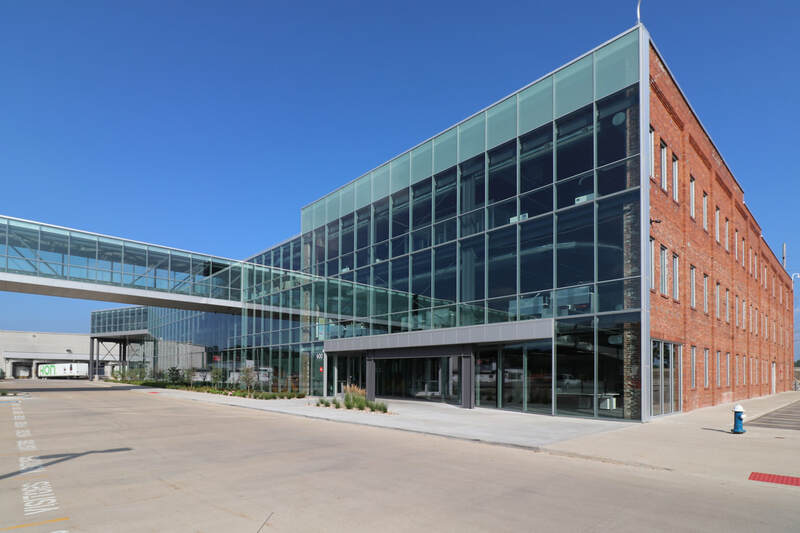 On the north elevation AWS installed roughly 9,500 SF of unitized curtainwall, provided by Wausau Windows and Wall Systems. Installation of the unitized curtain wall went very quickly and allowed AWS to enclose the building in a matter of weeks with the crew averaging double digit unit counts every day.